Fully furnished rooms with shared kitchens, chandeliers, soundproof music rooms and parties galore. Plus, the chance of finding the love of your life. 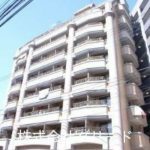 Shared houses in Tokyo as well as in major cities such as Kyoto offer these and more as an upmarket and a trendy lifestyle choice for singles who like the convenience and sense of community. 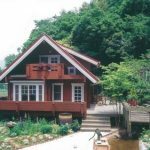 While the concept is not new – the first shared houses in Japan emerged about 20 years ago – it is gaining popularity as the number of singles grows. One in five men and one in 10 women had never been married by the age of 50, according to the latest government data published in 2010. The figures are expected to rise to one in three men and one in five women over the next 20 years. Ms Ai Hasegawa, a media art designer in her 30s, is one happy camper after moving into a luxurious 41-room shared house in suburban Tokyo called Ryozan Park. 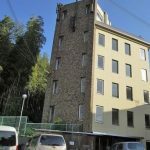 The number of shared housing properties in Japan has tripled to nearly 3,000 over the past three years, offering a total of some 40,000 rooms, according to the Japan Shared Housing Organisation. 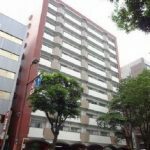 Hituji Incubation Square, which runs an online portal listing available shared housing in Japan, said the number of properties on its site has increased by 20 times since the website was started nearly 10 years ago. In the past three years, the number of inquiries for shared housing has doubled to about 200,000 a year, the company said, mainly from women in their 20s to 30s looking to widen their social circle. Shared housing used to be seen as less than ideal as residents had to share the kitchen, bathrooms and toilets, which were likely to be furnished very simply. But, in the past five years, they have been transformed into a coveted mode of living by operators hoping to tap the growing pool of singles. 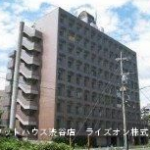 Rooms in shared houses mostly cost between 50,000 yen (S$620) and about 150,000 yen a month, including the cost of utilities, Wi-Fi and maintenance. Cleaning services for common areas are also included. It is not cheaper but more expensive than renting a private home. Residents, however, are happy to exchange privacy for a larger living space. They see it as an affordable way to live in a chic environment with facilities that look like they are from an interior design magazine. Ryozan Park, for example, has chandeliers in the kitchen and leather sofas in the lounge and reading room. It also has a gym, soundproof music room and sun terrace. 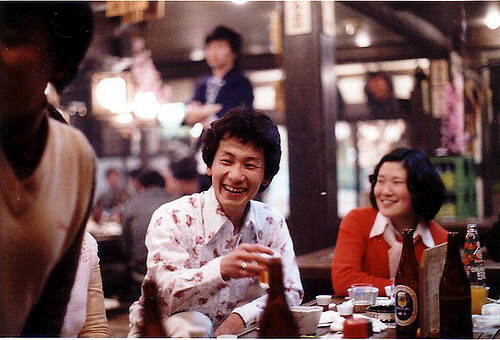 Mr Noritaka Takezawa, who owns and runs the facility, positions the property as “modern village living”. His family, which is in the real estate business, has lived in the area for the past three generations. “It’s about building a community and forming deep social bonds,” he said, adding that he screens potential tenants to make sure they fit in the community, which has about 40 residents. 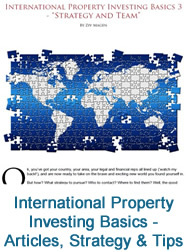 Another selling point of shared houses is that tenants generally do not need to pay a deposit of up to five months’ rent, which is required when renting a private apartment in Japan, or provide a guarantor. Operators also offer more flexibility in the form of shorter leases that start from one month, compared with the usual two years for conventional apartments. Ms Nanako Otake, a Hituji spokesman, said the market was also boosted by the increasing number of foreigners living in Japan. She added that “Japanese who return from overseas or those who are hoping to interact with foreigners” also increased demand. In general, Japanese tenants stay an average of two years, while foreigners stay six months, according to Global Agents, which operates the Social Apartment brand of shared housing, with more than 1,200 rooms across Japan. Four of those couples have chosen to move out to apartments within a five-minute walk to stay close to the rest of the “village”. The families also keep in contact by having regular outings during which the husbands look after the children and the wives enjoy the day off. One of the couples, Mr Hideharu Miyakawa, 32, and Madam Yuki Usami, 37, met at Ryozan Park in September 2012 and decided to tie the knot after dating for about 11 months. Mr Miyakawa said: “We got to know each other’s living habits before moving in together officially, and it was great being able to go home together after our dates.” At Oakhouse, Mr Arai said he knows more than 10 couples who have hit it off. At his former shared house, which was larger, with more than 260 residents, 11 couples got married during the three years he lived there. “Of course, there were other couples besides those who got married,” he added. 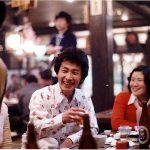 Share the post "Japan’s Shared Houses a Trendy Lifestyle Choice for Social Singles"